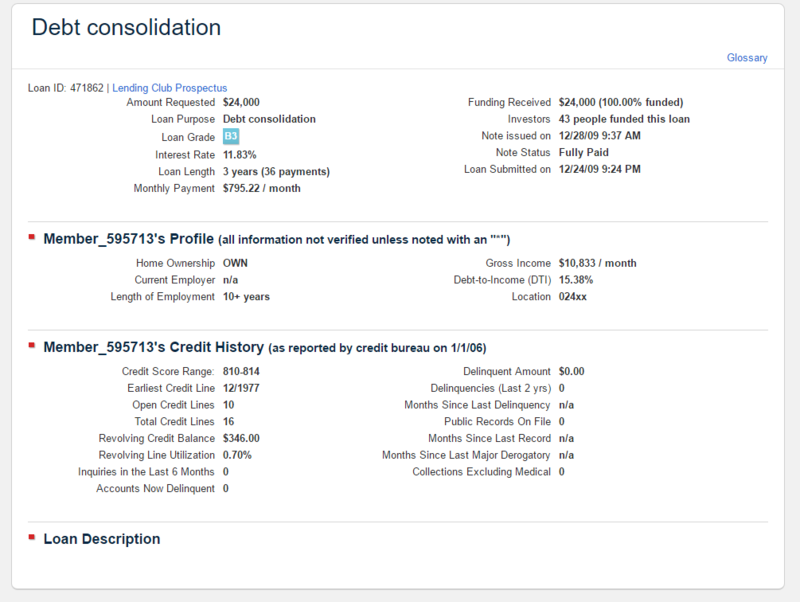 By now you have probably heard about some of the events that unfolded at Lending Club last month. 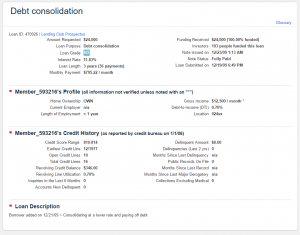 If not, you may want to first read our May newsletter, where our CEO, Bo Brustkern provides a comprehensive debrief of the Lending Club news. As the dust begins to settle, and investors try to regain confidence in Lending Club and the peer to peer lending industry, yesterday Lending Club disclosed some key findings and projections for the future after initially delaying their annual meeting. These findings come after an extensive audit of loan books and operating procedures by a Big 4 Accounting Firm. The Lending Club Board of Directors appointed Scott Sanborn as CEO of the company after briefly serving as interim CEO. He has previously served as Chief Marketing and Operating Officer since starting with the company in 2010. After a thorough review, Lending Club’s private funds, managed by subsidiary LC Advisors, were found to have been using a valuation methodology which was not consistent with GAAP, resulting in slightly higher reported returns figures for investors. 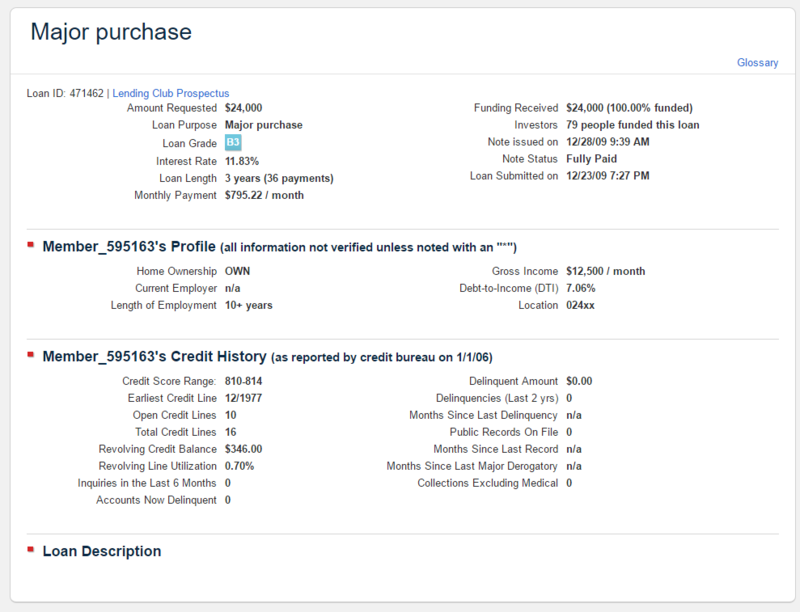 Lending Club is projecting second quarter loan origination volumes to be approximately one third lower than Q1. In response, the company has announced layoffs of 179 employees (about 12% of its workforce) to reduce costs and right-size the company to match current and forecasted growth. 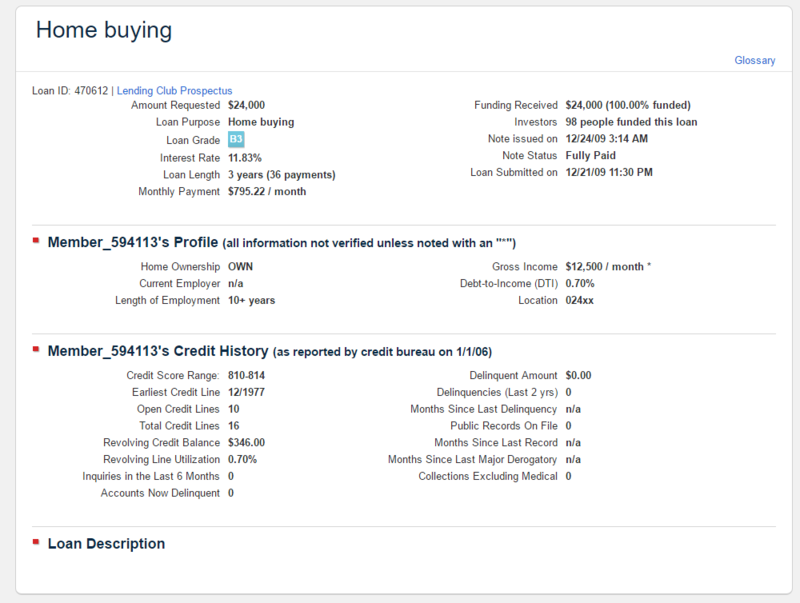 Lending Club has implemented improved control processes, including data integrity, compliance and oversight, and employee training related to the company’s code of ethics and policies. Expenses related to audits, reimbursements, and a goodwill write down are estimated to be in the range of $44 – 69 million. The company has implemented a policy prohibiting the pledging of Lending Club shares and prohibiting investments by Lending Club (and presumably certain high-ranking LC employees) into ecosystem partners. Internal auditors uncovered that Co-Founder and former CEO, Renaud Laplanche, and three of his family members took out Lending Club loans to inflate loan origination totals in December of 2009 — in total 32 loans worth $722,800. All of the loans have been repaid in full. Note that this information was provided to the public via press release and during the shareholder meeting webcast, neither of which are subject to audit. We have not independently verified the above claims. Where are the improperly issued loans? We were interested to uncover which loans were made to the Co-Founder and his family, so we dug a bit deeper into the data. To our surprise, we easily found a number of loans that seem to be part of the 32. It’s interesting that no one has called these loans into question up until now because upon review — and with hindsight being 20/20 — it seems obvious now that something fishy was going on. This is most likely because no one was looking for inconsistencies in a manner that would have detected them. 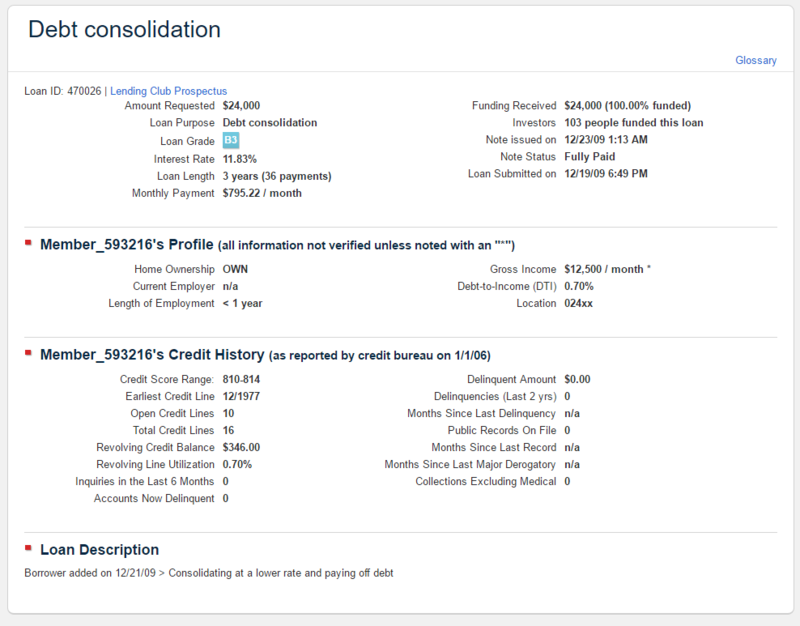 Here is a sample of four of the loans that we believe may have been issued to the same borrower in December, 2009. 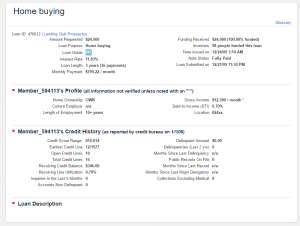 The same credit profile, same borrower location, issue date within days of each other – all for amounts exceeding $20,000. Despite the fact that this errant behavior was not caught — either by LC or a third party independently observing the data — we place tremendous value on the transparency of data that allows open examination like this. Going forward, we expect not only LC but many within the ecosystem to enhance their business practices to minimize the possibility that this might happen again. Most of the news announced today provides us greater confidence in the leadership team and the continued growth of Lending Club. Yes, it appears LC engaged in improper behaviors while under the leadership of Mr Laplanche. Today’s management, led by Mr Morris on the board and Mr Sanborn as chief executive, appears serious and steadfast in correcting the issues and marching forward to a brighter future — and by that we mean more transparent, more compliant, and more trustworthy than ever. It will certainly take time to restore investor confidence. 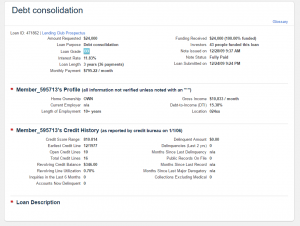 NSR Invest has and will continue to monitor the performance of p2p loans at Lending Club. Thus far, we are pleased with loan performance and we are further encouraged by recent interest rate increases. With credit quality under control, a path to renewed investor confidence and growth, we continue to believe strongly in this asset class as a viable investment opportunity to provide competitive risk-adjusted returns, and Lending Club as a fundamental player in the ecosystem.